In keeping with the aim of global design excellence for the next generation, we gathered the world’s best experts across five competitive creative sectors to be judges in the SBID & BEOPEN Student Design Competition, Designed for Business. On Tuesday 18th September, we rounded up this panel of esteemed professionals to discuss, deliberate and decide on our fortunate finalists and lucky winners for each of the creative categories across Interior Design, Interior Decoration, Product Design, Art and Fashion. The finalists are set to be announced on Monday 29th October 2018! 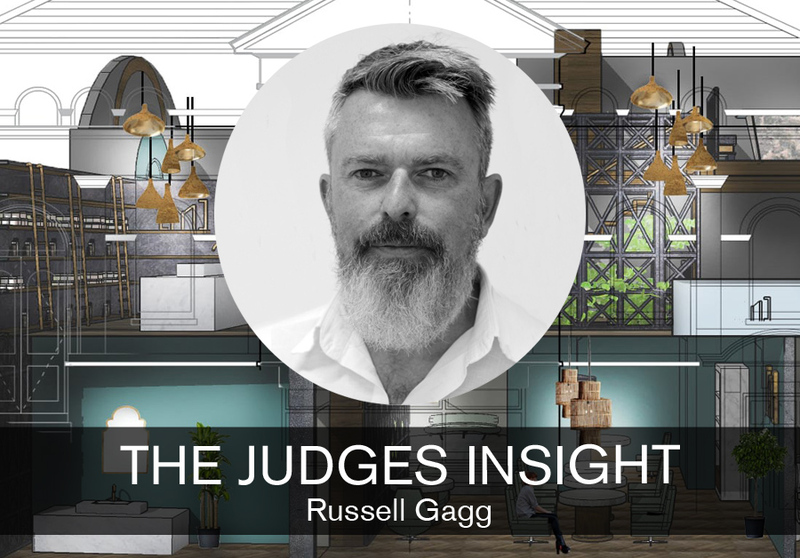 Following our interview with the Founder of HG DesignWorks, Hans Galutera, we spoke with Architect and Courser Leader, Russell Gagg to discover what he has learned from working in architectural practice since the 90’s, before becoming a degree level educator. I am currently Course Leader and Principal Lecturer of BA (Hons) Interior Architecture and Design at the Arts University Bournemouth. 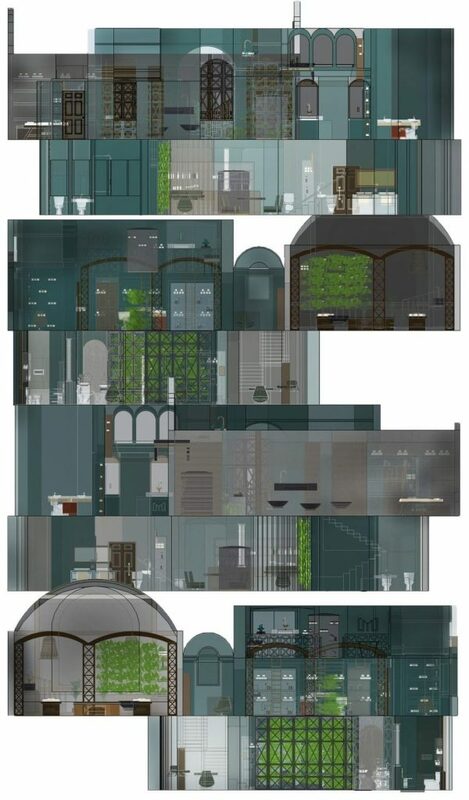 What is your background and how did you get into interior design? Having graduated, I entered the Manchester architectural scene in the early ‘90s – an environment that was dynamic and highly competitive. The city was enjoying a re-birth and understood that the re-use of its industrial heritage was the best route to a sustainable future. At the time, a small number of practices shared this understanding and pushed themselves to create ever-more progressive architecture which would meet the demands of urban growth. Working for them was equally demanding but also rewarding, enabling young architects such as me to gain diverse and invaluable experience across a wide range of design. You were expected to learn quickly, be adaptable, resourceful and resilient and to meet deadlines; you were also expected to challenge the norm and take creative risks. It was tough – it still is tough – but it was worth it when you see people enjoying a city that you played a part in rebuilding. Over a period of some fifteen years I worked in architectural practice in Manchester, Kuala Lumpur and Singapore. After a year travelling around Central and South America we settled in New Zealand where I spent a short time in practice and then started teaching architecture at undergraduate and post-graduate levels at the Victoria University of Wellington. This experience enabled me to apply for the leadership of the Interior Architecture and Design course at the Arts University, where I have been since 2006. It’s a great job in a dynamic institution and I share this with highly creative staff and students. Together we have grown and developed the course to become one of the largest and most progressive in the UK – a course which really challenges the accepted boundaries of what the “interior” can be. Which people do you admire most in the industry and why? There are many highly successful individuals and practices. What I most admire is the adaptability, dynamism and skills of the industry itself. Interior design practitioners are experts at understanding the potential of design opportunities and applying their creativity to grasp those opportunities – it really is the most exciting area of design. This is one of those opportunities. The SBID Design for Business student competition will have such an impact on the lives and careers of those who enter. For the winners, it could really be a game-changer. How did you find your judging experience? It was such a pleasure to see such a high standard of work from across all the categories and to listen to the comments from design experts and industry leaders in those fields. I hope the students enjoyed their projects because the judges certainly enjoyed looking at them. Patience. You have to work hard. Enjoy yourself when things go well and reflect critically when they do not. Accept that this all takes time and does not happen instantly. Working in the creative industries is immensely rewarding but that reward only comes to those who stick with it and keep working at it. If you had won £30,000 just after graduating from University, what would you have done with it? I would travel – there is no better inspiration. Click here to find out more about this year’s Designed for Business judging panel or visit our website, here, for further announcements and information about this inaugural, life-changing student competition!